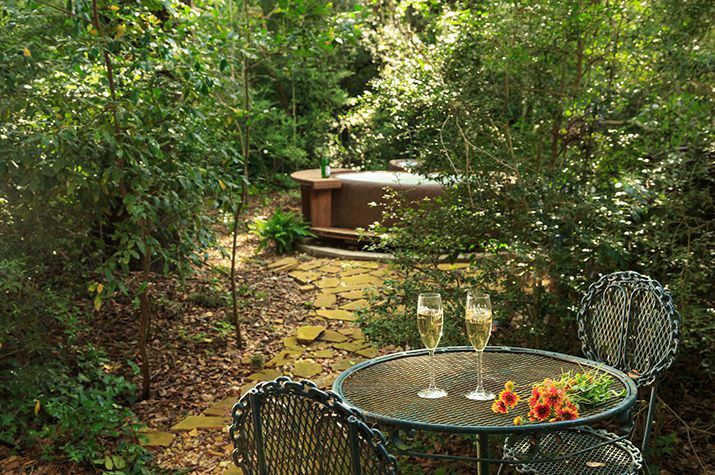 Everyone should treat their loved ones to a romantic getaway in Texas. 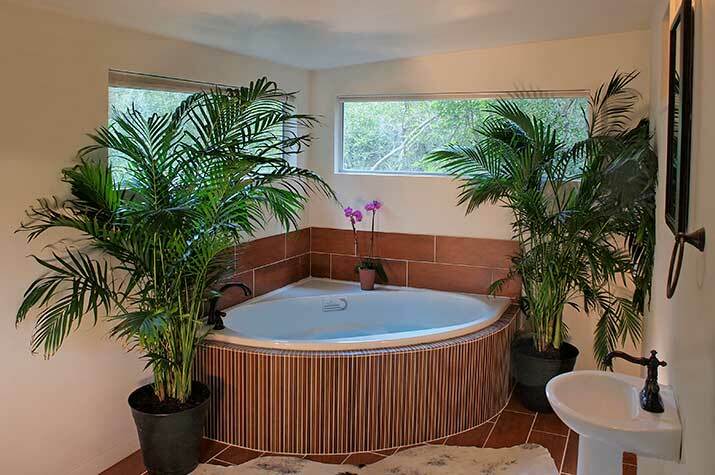 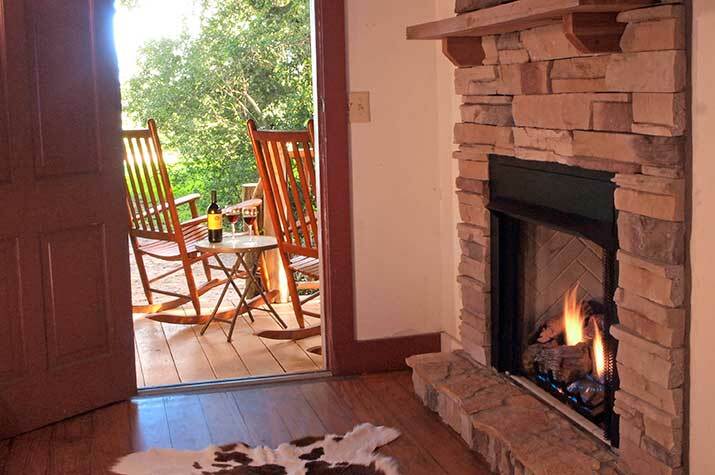 We provide a romantic getaway in our cabin rentals located only one hour from Houston. 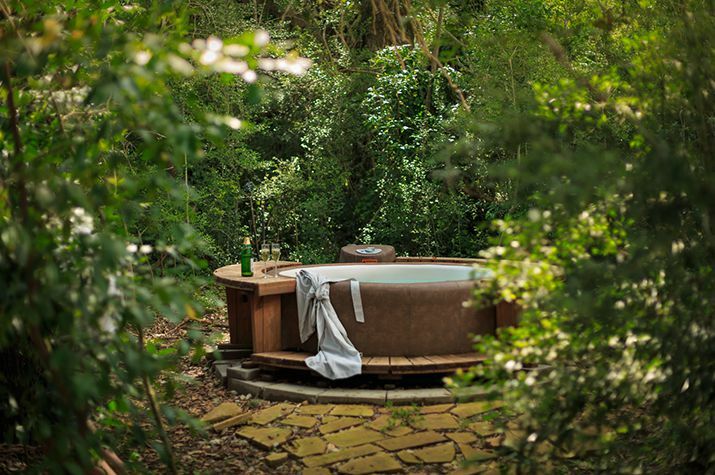 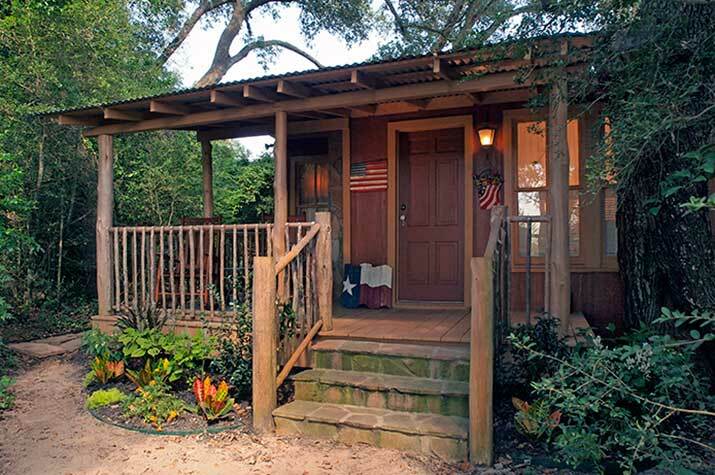 Our Mystic Woods Cabin is a small, secluded single-room cabin hidden back amongst the live oaks. 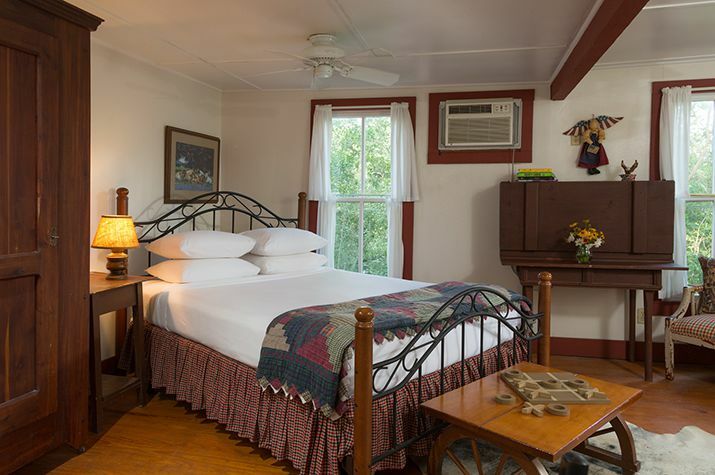 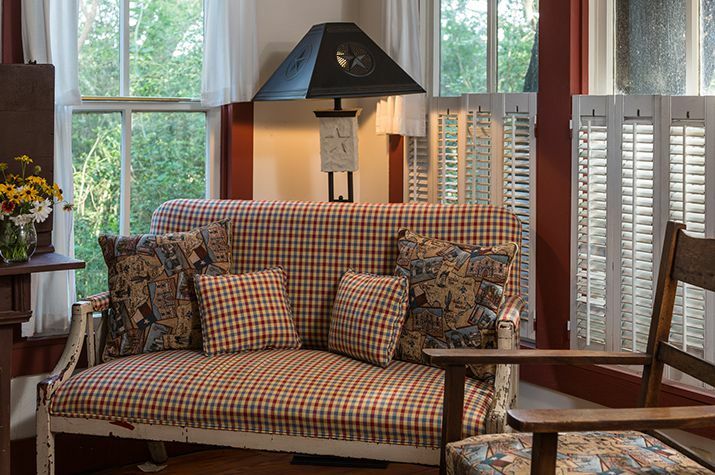 Perfect for guests wanting to enjoy peaceful weekday or weekend getaways in Texas, also great for a private retreat. 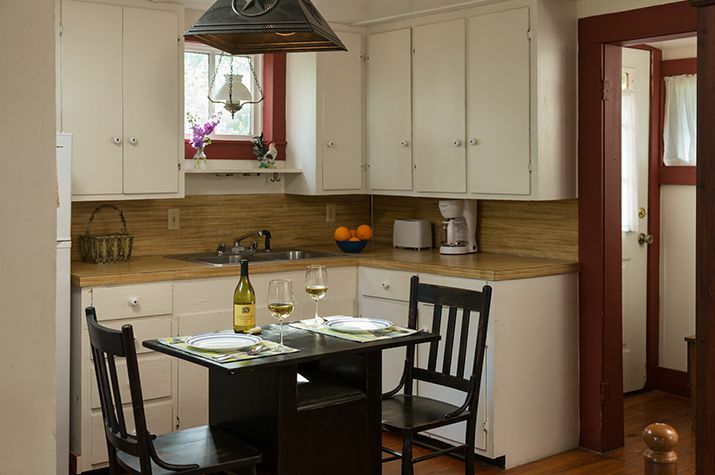 It has a kitchen with refrigerator, coffeemaker, toaster, microwave, two-burner stove top (no oven), electric skillet; pots/pans, glassware, silverware, dishes, and bathroom with shower, second bath with two-person Jacuzzi and pedestal sink, love seat in sitting area with gas fireplace, front porch and a back deck, with private secluded hot tub in the woods off the back deck, and a bonus outdoor private shower!